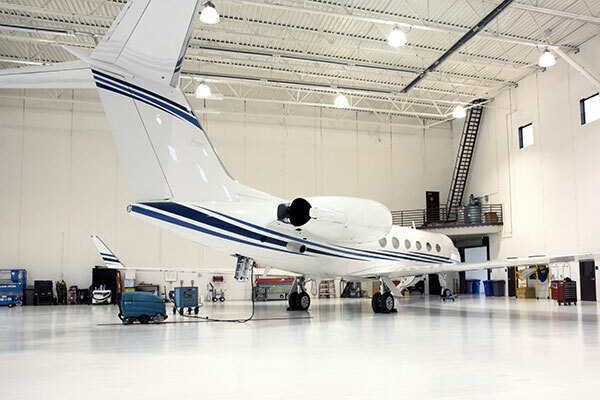 Whether you need a heated hangar or require accommodations large enough to house your Gulfstream V, we invite you to experience our state-of-the-art hangar facilities. St. Paul Flight Center has 64,000 square feet of heated hangar space that can accommodate the largest of business class aircraft. Special features include heated indoor parking, maintenance shops and offices adjacent to the hangar facilities. ©2019 St. Paul Flight Center. All Rights Reserved.